Colombia enjoys coastlines on the Pacific Ocean and the Caribbean Sea,lush Amazonian jungle, rich colonial towns, ancestral cultures and cosmopolitan cities. Colombia beckons travelers to experience its historic colonial cities, distinct cultural traditions and a new generation of luxury boutique hotels. Colombia was originally inhabited by several indigenous nations including the Muisca, the Quimbaya and the Tairona. The Spanish arrived in 1499, and brought African slaves to Colombia in the 16th century. The result is an intriguing cultural mosaic. The cities of Armenia and Pereira in the center of the western region of the country are the center of the coffee zone as well as the heart of Colombian culture. Bogota and Cartagena combine old-world character and modern services. Colombia has eight established UNESCO sites – six cultural and two natural, with a further 18 sites under consideration. San Agustín Archaeological Park, in a wild, spectacular landscape, is one of these, noted for the largest group of religious monuments and megalithic sculptures in South America. Gods and mythical animals are skillfully represented in artistic styles ranging from abstract to realist. These works display the creativity and imagination of a northern Andean culture that flourished from the first to the eighth centuries. Misty Andean mountain ranges, great sweeps of the Amazon Basin, vivid blue lakes, vast plains and charming coastlines combine with adventure experiences from scuba diving to mountain biking to cave exploring to make Colombia an exciting, emerging destination. Experience Colombia luxury tours with Big Five. It takes a boat, jeep and a walk to get there. And even though you know it’s coming, your first sight is still a bit startling. Crystal Canyons is true to its nicknames “river of five colors” and "liquid rainbow." Here, nature’s palette is not subtle. The waters are vibrant like a child’s coloring book – yellow, green, blue, black and overpoweringly cherry red. Colombia is much like that river - vivid and unexpected, full of life and color and passion. Travel by dugout canoe into Ecuador’s Yasuni National Park to encounter extraordinary wildlife and vibrant local culture. 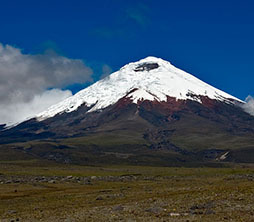 Explore Cotopaxi, the highest active volcano in the world due to its location and its continuous activity. Visit an Inca archeological site that represents the largest known Inca ruins in Ecuador. Take in Bogota the capital city and home to exciting graffiti artists, and Cartagena, where you take an unusual food tour based on the life and work of writer Gabriel Garcia Marquez. Learn about coffee from the experts in the coffee country around Armenia, traditional. Enjoy Medellin and the lovely coastal area of Nuqui, perfect for walks, relaxing on the beaches or soaking in the warm thermal springs as well as whale watching, surfing and kayaking. 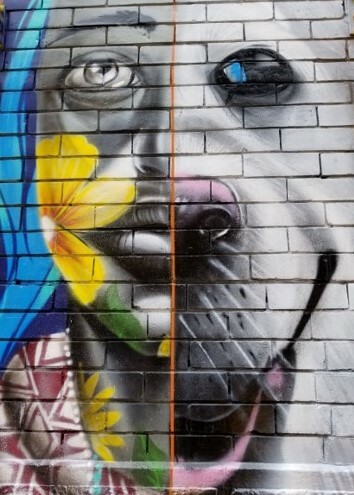 Graffiti encompasses writing and drawings that have been scribbled, scratched, chiseled or painted illicitly on walls and other surfaces, usually within public view. The can be simple written words or elaborate wall paintings. The use of graffiti has existed since ancient times. Examples date back to ancient Egypt, Greece, and the Roman Empire. The term graffiti originally referred to the inscriptions and drawings found on the walls of ancient sepulchres or ruins in the Catacombs of Rome or at Pompeii. This unique and fascinating journey explores facets, framework and meaning of graffiti today in Latin America as seen through the eyes of artists in these countries. Specialist guides provide context, both historical and modern, to help you discover this compelling art movement. Colombia offers the traveler unique adventures from its well-preserved, classic colonial cities of Bogota and Cartagena, to Medellin's barrios that were once the haunt of Pablo Escobar, the infamous drug cartel leader, to Chivor and its active emerald mind where you can try to crave out your own gemstone. Enjoy a flight over the coffee plantations in the heart Colombia's coffee growing zone. Discover the UNESCO World Heritage town of San Basilio de Palenque, which became refuge for the original fugitive and escaped slaves from the colonial period of the 17th century. Colombia is a multi-faceted destination. This adventure takes you hiking in the lush Cocora Valley of Colombia and walking in Antigua, Guatemala's charming colonial city. You explore Cartagena's old walled city and explore its local markets with the owner of a local restaurant. Take a helicopter flight over six different volcanoes to Lake Atitlan for a kayaking adventure and delve into the plazas, pyramids, and temples of the ancient Mayan cities of Uaxactun and Tikal. Then savor the unique experience of glamping at Uaxactun - a unique way to experience an ancient Maya site in your own private camp. Delve into the ancient cultures of these two countries, from staying overnight at Guatemala's Maya Uaxactun Archeological Site, to exploring the pyramids of Tikal, to examining some of the 500 millennia-old stone statues of Colombia's Pre-Inca San Agustin Archeological Site. This journey explores South America's pre-Incan societies that over the centuries settled along the Peruvian coast and highlands, the highlands of Ecuador and in Colombia. Visit archeological sites in Colombia’s San Agustín Archeological Park, a UNESCO World Heritage Site encompassing the largest group of religious monuments and megalithic sculptures in South America. Travel to desert coastal zone of Northern Peru to enjoy special access to see the excavations at the pre-Incan site of the Sipan ruins. Discover Bogota's colonial architecture and museums such as the Museo del Oro with displays that include some 32,000 pieces of gold. Visit the 16th-century Villa de Leyva, one of the area’s most beautiful towns. Tour Colombia’s famed coffee region. Take in the enchanting old Walled City of Cartagena. 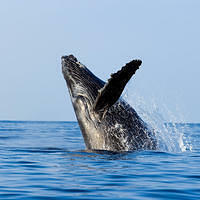 Go whale watching, kayaking or surfing on Colombia’s Pacific Coast. Historic Spanish colonial cities and local mountain villages are cultural gems to explore. Take in the Tierradentro Archaeological Park, a UNESCO World Heritage Site famous for its archaeological treasures that include incredible subterranean galleries and tombs. Explore Bogotá, Colombia’s capital city with its colonial-era architecture and the impressive underground Zipaquirá Salt Cathedral. Discover the historic heart of Bogotá and the amazing underground Zipaquira Salt Cathedral. Explore the famed coffee region to see the process of coffee production. Take in Cartagena’s ancient walled city, listed as both “Mankind’s Heritage” and “Colombian National Heritage” site by UNESCO. Enjoy Tayrona National Park, on Colombia’s Atlantic coast.